We met with Ava and Nate (and Ava's sweet mom) at a coffeeshop in May and all hit it off pretty instantly. 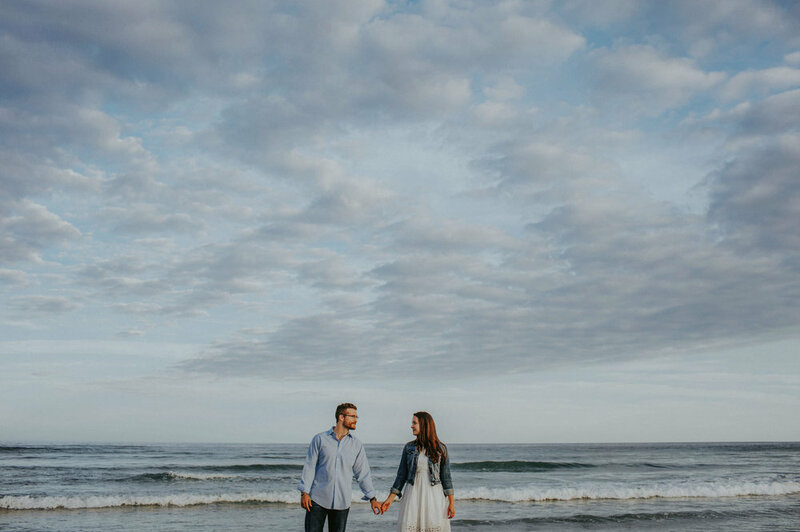 We loved how excited they both were talking about their engagement and wedding plans with us and were so excited when they booked us for their October wedding. Later Ava told us that she felt like when she met with us the first time that we were the type of people they'd want to go have a drink with, which is something that we hear from our clients quite a bit. 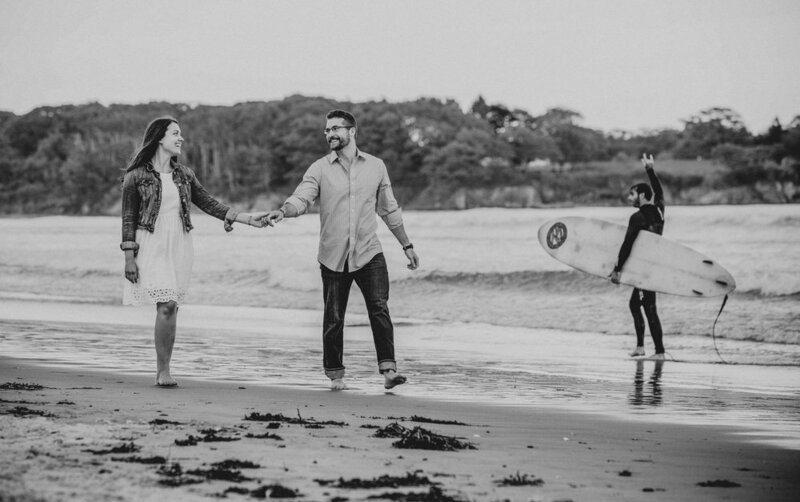 Ava and Nate are so happy and positive and you can totally feel that energy from their engagement photos. We met up on a day in early June at Higgins Beach to hang out with them. It's still pretty chilly that time of year in Maine and they were so brave to actually get in the water a little bit. Spending an evening at this beautiful location with fun clients just never gets old!